As you drive south from Miami, the first area you encounter is Key Largo, the longest, largest and easternmost island of the Florida Keys chain. The Florida Keys are measured in terms of Mile Markers and Key Largo extends from MM 90 to MM 106. To the north lies Florida Bay and to the south are the Florida Straits and the Atlantic Ocean. The first thing you'll notice is that there are no soft sand beaches. While mainland Florida has wide, sandy beaches, the Florida Keys has a living reef that extends its length, the only living reef in the continental United States. Diving is BIG business in Key Largo and divers from all around the world are attracted to John Pennekamp Coral Reef Park, the first underwater park in the United States. Diving in Key Largo is easy, there are many outfitters offering lessons, dive equipment and half and full day packages. Don't fancy diving..not a problem, there's still plenty to do! Check out the The Caribbean Shipwreck Museum and Research Institute is dedicated to the pursuit and romance of sunken treasure. Stroll around here and view rare artifacts found on the ocean floor. 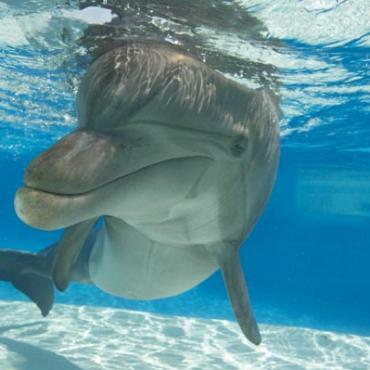 Swimming with Dolphins has become one of the most popular activities of visitors to the Keys. 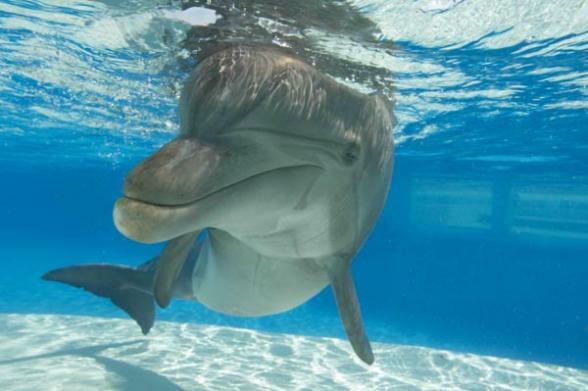 In the Key Largo area, there are two facilities that specialise in this pursuit, Dolphin Plus Inc and Theatre of the Seas. From Key Largo you can also experience airboat rides and safaris into the Everglades, kayaking tours into Florida Bay, sailing charters at sunset and glass bottomed boat tours to the reef. The 113-mile drive along US Route 1 from mainland Florida to Key West is a one of a kind road trip! Whether temporarily injured or disabled, wild birds are helped and healed at the Florida Keys Wild Bird Centre at mile marker 93.6 in Tavernier, on the island of Key Largo. You may not wish to stay here, but a visit to Jules Undersea Lodge is certainly a unique day out!. Snorkel or dive with giant cobia, grouper, sharks and more at the Aqua Ranch mm 69 Long Key in the Florida Keys. Robbie’s rests peacefully among coconut palms with shimmering views of the nearby islands where the unspoiled Florida Bay and the bright blue Atlantic Ocean converge. In typical Keys fashion, some of the best restaurants along the island chain look quite unassuming or are tucked away-in-hard to find locations. Located at the middle of the Florida Keys, Marathon offers activities for the young and young at heart.